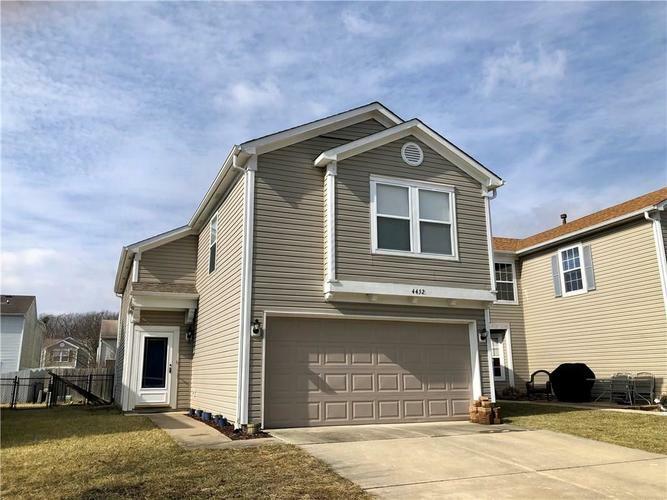 Cute and affordable 3 bedroom / 2.5 bath home located in Plainfield's Saratoga community. Open floor plan with new laminate wood floors in entry, living room and dining area. Spacious 2 story living room! Kitchen includes newer stainless appliances and pantry. Newer roof (2015) and furnace (2018). Brand new microwave hood, still in the box! Rear fenced yard. This home is ready to welcome a new owner! Directions:Take I-465 to Washington St/US 40 exit #12. turn west on Washington St.US 40. Turn north on Saratoga Parkway. Turn east on Claymont Boulevard. Turn north on Redcliff North Lane.